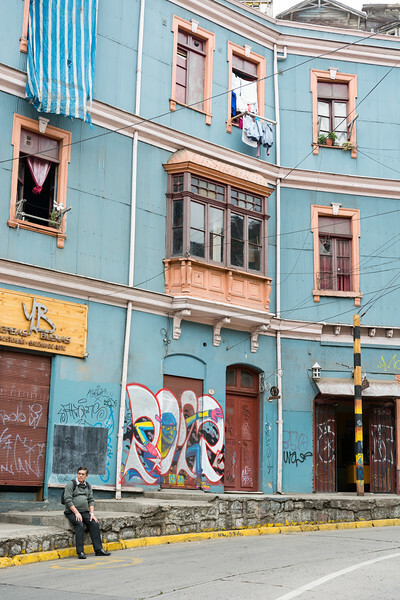 The final stop on our itinerary for this trip was Valparaíso, a colorful port city on Chile's coast. 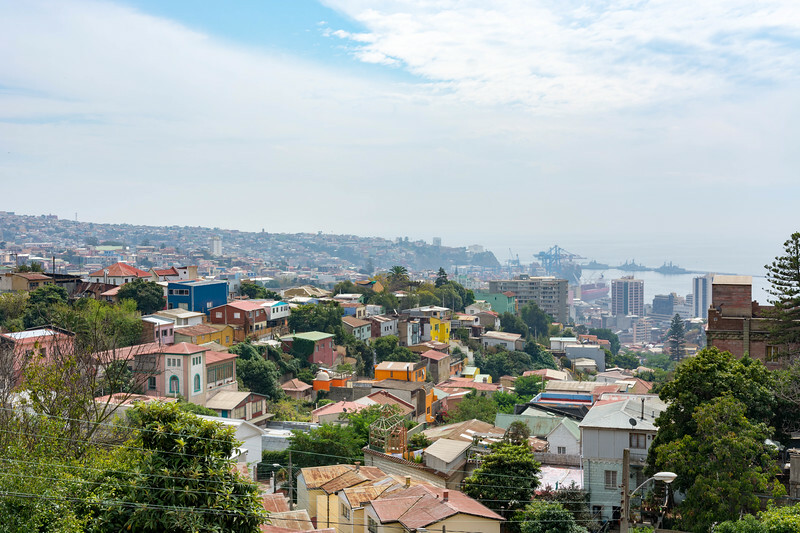 Valpo is a charming place, built around a natural harbor, with a downtown area on the water, and neighborhoods rising high into the countless hills above. 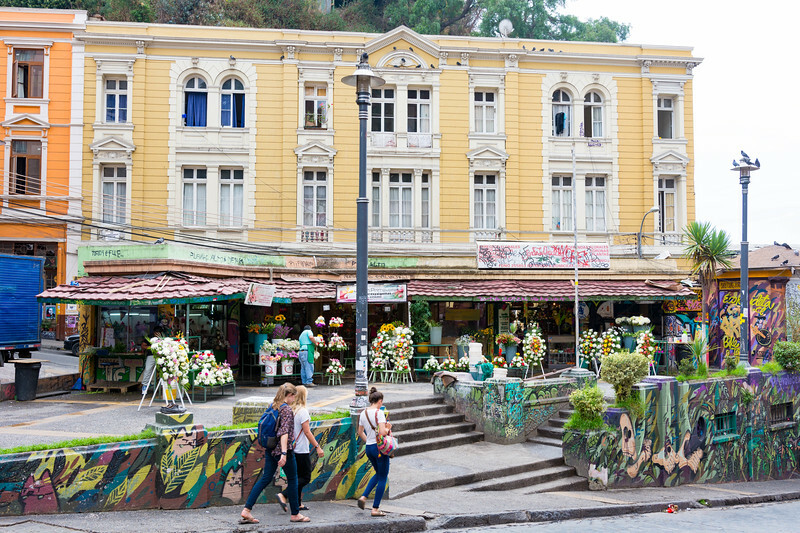 The city is known for its brightly painted buildings and amazing graffiti that covers many of them. 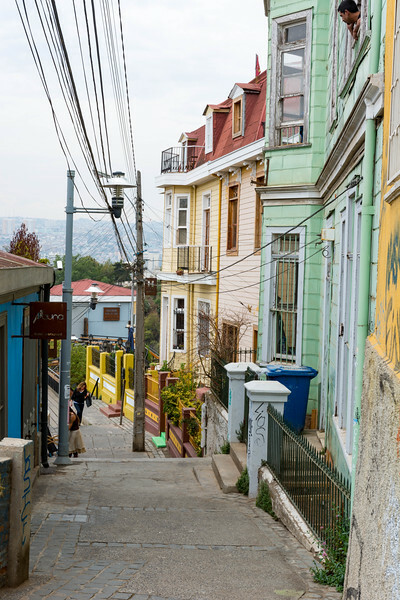 A typical street in one of the hilltop barrios in Valparaíso. 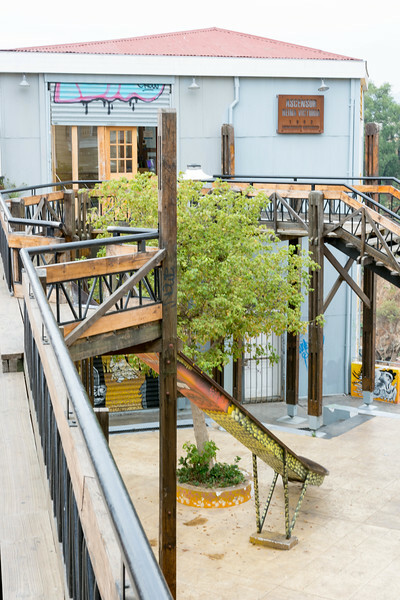 This walkway leads from a street at a higher level on the hill than the building at the end of the walkway. To get to the lower level, there are two ways down - the stairs, or a slide. From the end of the stairs and slide, the only way down the hill is via funicular. 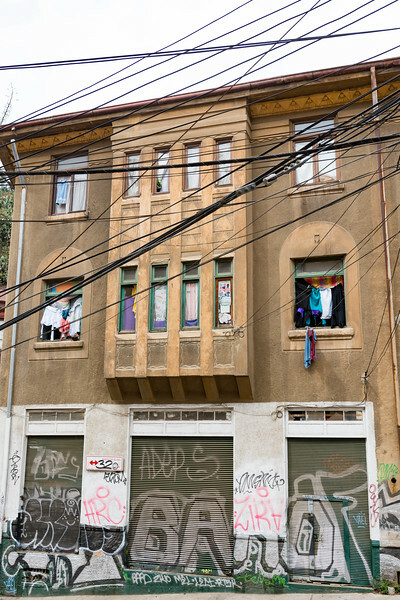 Building and graffiti in Valparaíso. 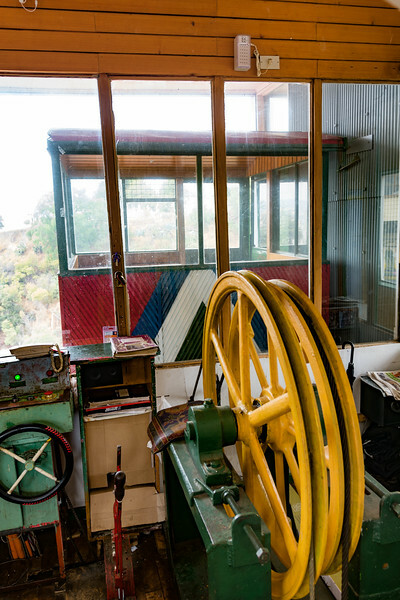 The control room and one of the passenger cabs of a historic funicular in Valparaíso. These elevators are very old, and for a few pesos, will take you up or down the hills between the downtown area and various barrios. 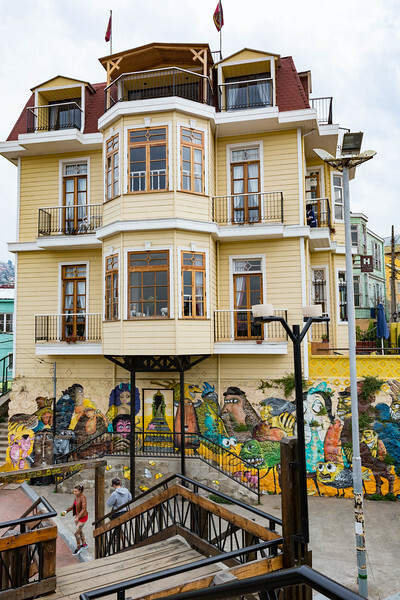 Colorful building on a street in Valparaíso. 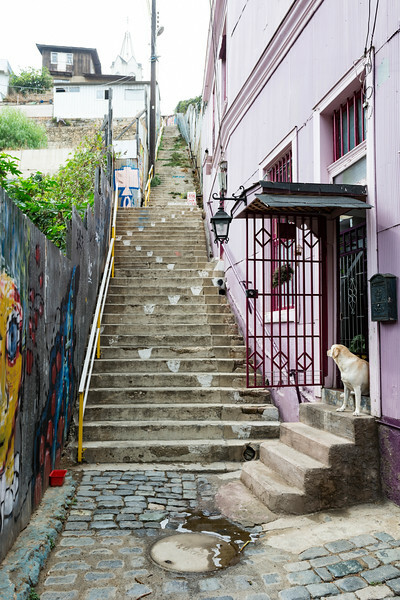 Steep stairs leading up a hill into one of the barrios. 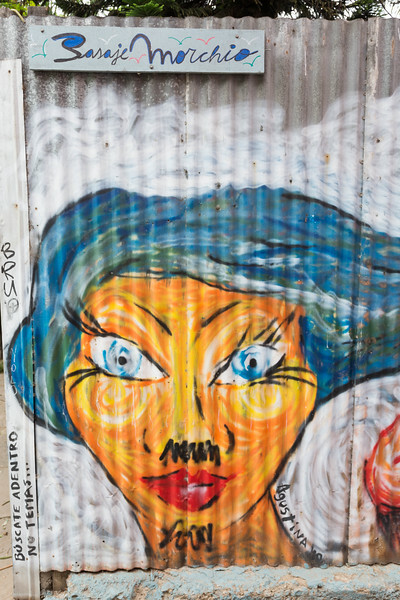 Artwork on the buildings in Valparaíso. Looking out at the city from Pablo Neruda's House. 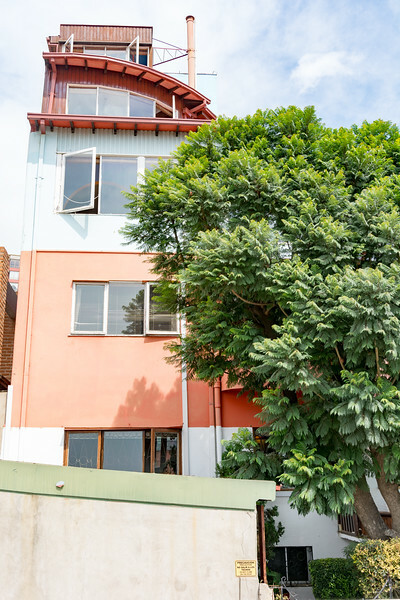 The side of Pablo Neruda's house in Santiago. Unfortunately, photography of the front and interior of the home was not allowed.